However, despite all the goodies Angular has to offer, chances are you would still be thinking ‘what’s so special about Angular while there are a number of similar web application frameworks available in the market today’. Well, if you’re looking for one good reason to go with Angular for your next application, for skeptics like you we have 9! The recent version of Angular comes with several Material Design components optimized and designed to integrate seamlessly with Angular. Not only these components are fully compatible with server-side rendering but also they are extremely fast and consistent, delivering users a never seen before like experience across modern mobile and desktop browsers. Where the addition of Material design to Angular is no less than a reward for UI-UX designers, on the other hand, this also provides businesses a great opportunity to delight their users a more aesthetically pleasing experience. If you’re in a dilemma whether or not a website or application built with Angular would be SEO-friendly, let us clear one thing that Angular remedies all the SEO limitations with the help of server-side rendering, also known as Angular Universal. Serving the first view of your application to users in plain HTML and CSS, server-side pre-rendering ensures that all search engines will be able to crawl and render your content as well as provides a reliable, flexible and efficient way for Facebook, Twitter and all other social media platforms to correctly display a preview image of your Angular application. 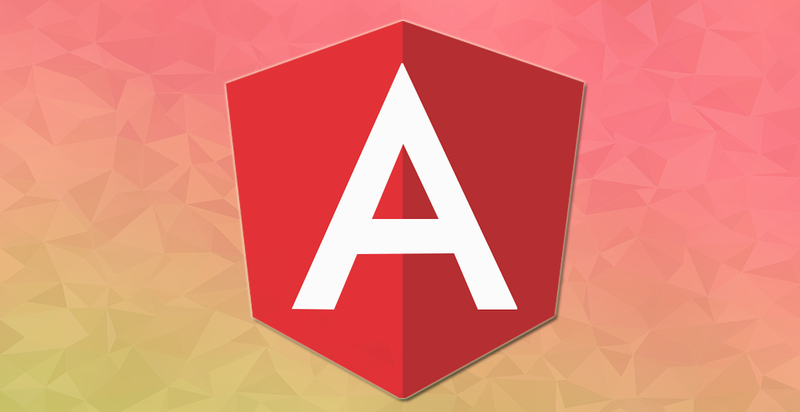 With incredible features like Web Workers, Server-side rendering, and Code Splitting, Angular makes it possible for an application to load at the speed of light. Where the Web Workers lets the application makes use of cache to serve users with offline mode capabilities, on the other side, Code Splitting automatically splits the code with the help of a Component Router so that users only load code required to render the view they’re requesting. Focusing on making an application much responsive towards users’ actions, Angular lowers the app abandonment and bounce rates to a great extent, making the app stay in users’ devices for longer. Angular minimizes the challenges for developers by allowing them to write less code and reuse the code as many times as they want. Also, providing developers with an option to write and test code separately in parallel and allowing them to reuse each other’s code without worrying about the integration issues, Angular speeds up the app development process and consequently reduces the overall time required to get an app on the App Store. Adding a few attributes to the HTML code, a simple app can be built extremely fast with Angular. Given that every new technology is riddled with several security holes, security becomes a huge concern for anyone who is planning to replace or alter his existing website or application. Fortunately, this is not the case with the Angular development. In order to communicate with servers, an application built with Angular typically uses an HTTPS interface, which can be in the form of a simple web service or even a RESTful API. Moreover, if your server supports, you can take advantage of the $http module of Angular to protect your application against cross-site scripting attacks. What’s even more amazing is that Angular also support strict expression evaluation which reduces your concerns about client-side security. Another great advantage of going with Angular for your application is that it doesn’t impose any restrictions on utilizing an underlying data management system. Usually implemented through RESTful API, Angular applications allow users to access the underlying database. This means you can easily replace existing frontend code while keeping all your internal APIs in place. Also, if the application you want to replace is built with a framework like Rails or Django, switching to Angular will be as easy and fast as a front-end swap. An application built with the Angular is easier to maintain than the one developed using any other web application front-end framework. Encouraging the use of a model as the source, Angular compels developers to incorporate the object-oriented design principles into the application, which results in making the application more maintainable. This means if you want to make any changes to your application in future, your developer will be able to easily do it absolutely without rewriting the entire application. As Angular is developed and maintained by Google, you can be sure that your application is future-proof and as technologically advanced as possible. Known for innovation and creativity, Google updates the Angular from time to time in an endeavor to make it the world’s most dynamic front-end web application framework. Recently the Angular Team introduced Angular 5.2, which is a drop-in replacement for version 5.1 with substantial changes like enhanced type checking for templates, support for TypeScript 2.6 and improved Router Param & Data Inheritance. This justifies that Angular indeed has a very bright future! So did you get a solid reason to opt for Angular for your next application? If yes, visit our PSD to Angular Development service page to get a free custom quote now! WordPress 5.1 Beta 3 is Now Available!